I know it’s summer, and what am I doing knitting a scarf? 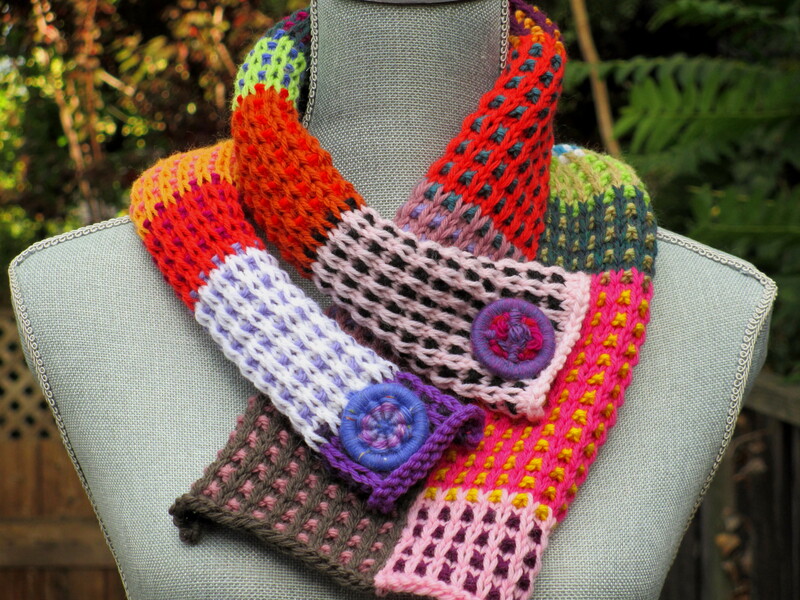 It all began by knitting a swatch in order to explore the relationship between unexpected color combinations. As the swatch grew longer, so did my interest. What would happen if I varied the size of the rectangle? 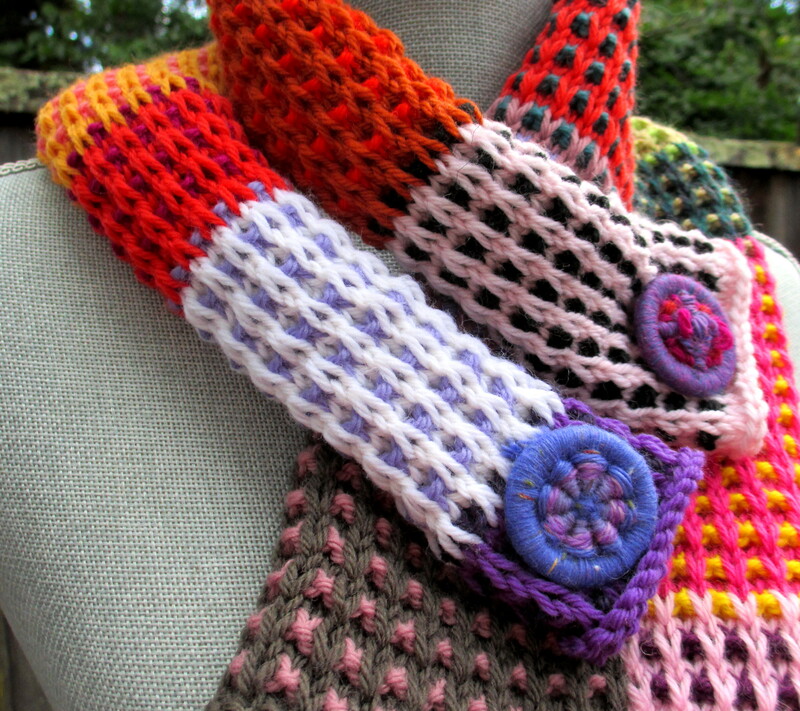 What started out as a swatch turned into something worth exploring. 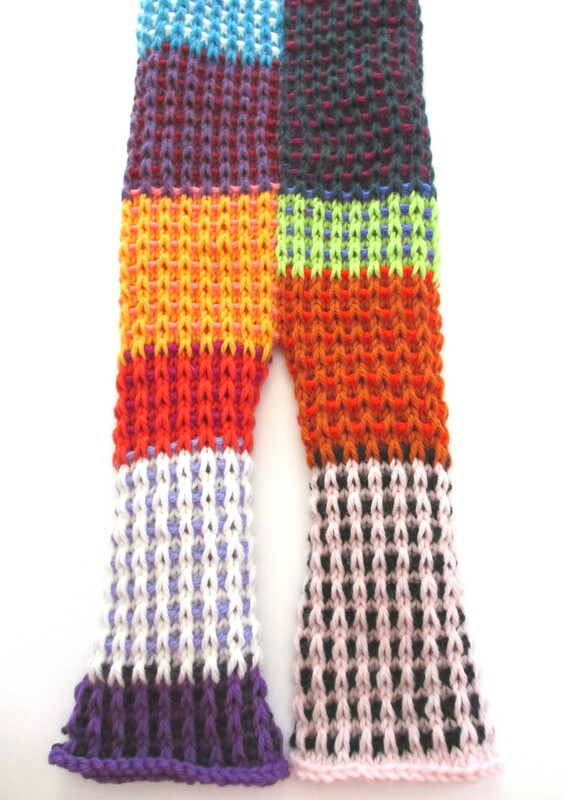 An interesting sequence of color combinations emerged, accentuating the texture of a slip stitch pattern. Without hesitation, I began seaming the two swatches together. 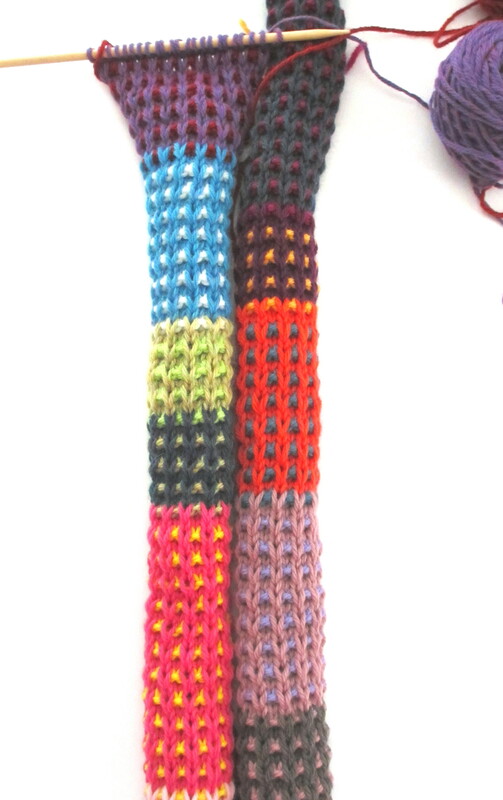 By seaming the two together, I was able to explore the various color combinations side by side. To achieve the maximum interaction between rectangles, it’s imperative to line up the slip stitch rows when seaming. I decided to leave an opening. I attached two Dorset buttons as closures.